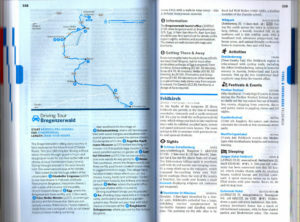 Lonely Planet’s travel guides are user-friendly and well-prepared. 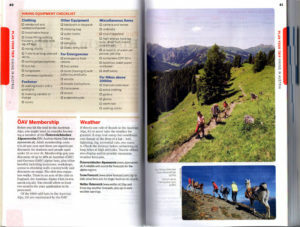 The authors of the guide to Austria, have filled the book with comprehensive and practical information for the “must see” destinations. 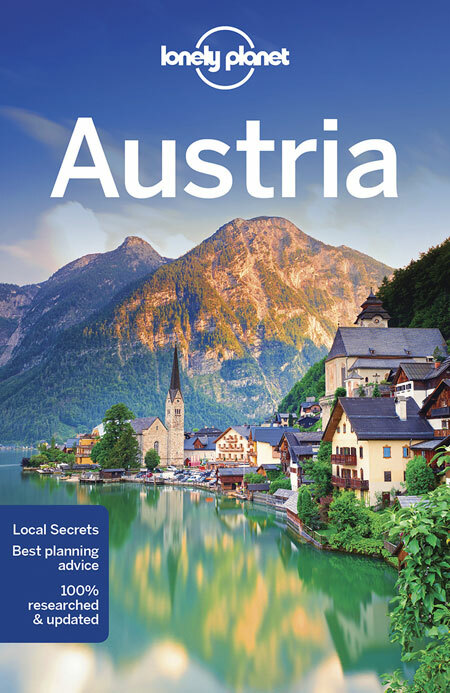 The travel guide to Austria, has 416 pages and is relatively comprehensive. It might not cover every little village or hamlet, but it does not matter, as there are always some places you can explore on your own. For those who travel to Austria on their own for the first time, this book is perfect. If you already have been on a trip or two to the country and want to see something new, the book will save you for a lot of time searching for info online. 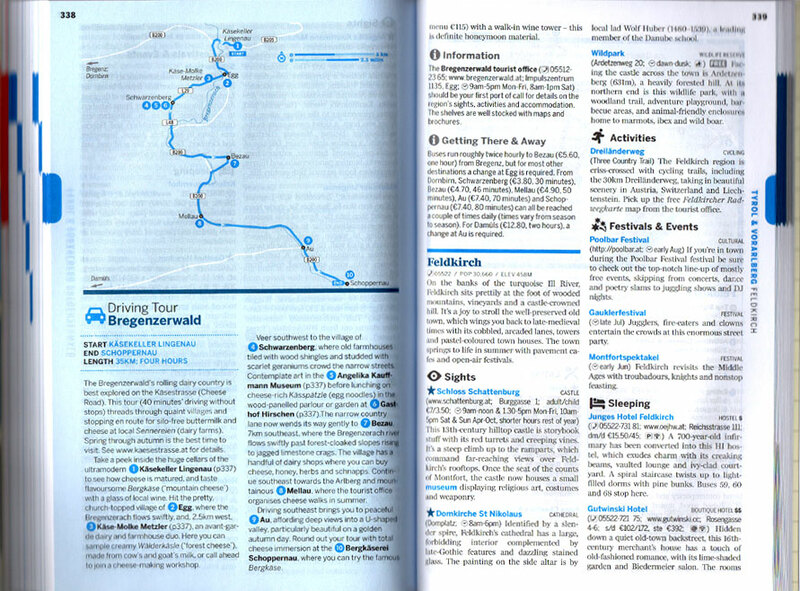 The Lonely Planet Travel Guides are made to be practical. All the destinations and sights mentioned are provided with useful info such as phone numbers, street addresses, URLs, price levels, opening hours and map references, etc. Lonely Planet has frequent releases (about every other year), thus, the information is relatively up to date. Moreover, we like the facts and knowledge snippets that are inserted into most sections. This ad a bit of background to the experiences. When we travel in Austria, we find that the descriptions of for example restaurants and accommodations, are pretty accurate. Nonetheless, such recommendations are often subjective and may vary with taste. Like most other guidebooks, the list of accommodations lists only a few alternatives in a few different price ranges and by far does not cover the range actually available. No problem. If you want more to choose from, just google it. Although Lonely Planet’s travel guides started as the backpackers’ Bible, they have over the years developed into travel guides that everyone can find useful. If you are looking for detailed descriptions of sights and a guidebook full of images, there are other options. Lonely Planet travel guides are designed for those who want some practical help along the way, in order to enjoy the majority of their travel time on the journey itself. Lonely Planet’s travel books are also available in PDF format if you do not want to carry books in your luggage.